For the last several weeks I have shared the options, features, and capabilities of the Palm Pre Plus from Verizon Wireless and how much I have enjoyed the multi-functional use of the phone. I began to compare the phone to the ever popular iPhone as my husband is looking to upgrade and we wanted to be able to compare side-by-side the iPhone to the Palm Pre Plus. We did the comparison because of the options, pros and cons each of the phones carries and as a consumer, you always want to have educated decisions based on available information. Our comparison started first and foremost with service. I am with Verizon and he is with AT&T. Need I say more. All joking aside, we did compare service coverage and while AT&T boasts a “nationwide network,” we felt their coverage is spotty at best. The Chad can be outside in his office and have a terrible signal and reception, whereas I can be in the latrine, by the pool, in the car, and never lose service with Verizon. Service was also compared when we made a road trip to California. On Interstate 10, 85, and 8 I had complete service, except for a brief moment when we passed the Federal prison. Whereas his service was cutting in and out as he was making business calls from the road, resulting in dropped calls, returned calls, or resorting to text only. The final result is that Verizon Wireless has a superior coverage area and the drop rate is nil. Side-by-side the calling plans between AT&T and Verizon are comparable. Each offering a 10 person calling plan (the 10 most dialed people in your network or out of network), data plans, unlimited calling plans, minutes and unlimited text, so on and so forth. Pricing is obviously comparable and variable based on the level of service (minutes desired), phone, etcetera, but again comparable. The calling plans will differ based on the phone options and here is where: AT&T offers mobile WiFi for laptops (only) with a WiFi data connect card, Verizon Wireless offers mobile WiFi with a data connect card, but Verizon Wireless offers the “Mobile Hot-spot” function with the Palm Pre Plus (for the same fee as a data connect card) thus eliminating the need for the card for WiFi anywhere, in theory you just need the phone. While the iPhone does offer a “router” of sorts for WiFi connectivity on the phone to your computer, the phone itself is NOT mobile WiFi, where the Palm Pre Plus is a true WiFi hotspot anywhere. Now this is where the Palm Pre Plus is dead even, if not surpassed by the iPhone. Currently Palm offers a 16GB phone where Apple offers a 8GB, 16GB, and 32 GB. The amount of applications available is hundreds of THOUSANDS for Apple, where Palm has only a few thousand. While still offering a vast amount, the iPhone is far superior. The touch screen for each phone is also fairly comparable, however, whereas the iPhone offers the landscape touch keyboard, the Palm offers a true slide out Qwerty keyboard to handle true style typing, where the touch keyboard may be cumbersome and annoying on the iPhone. 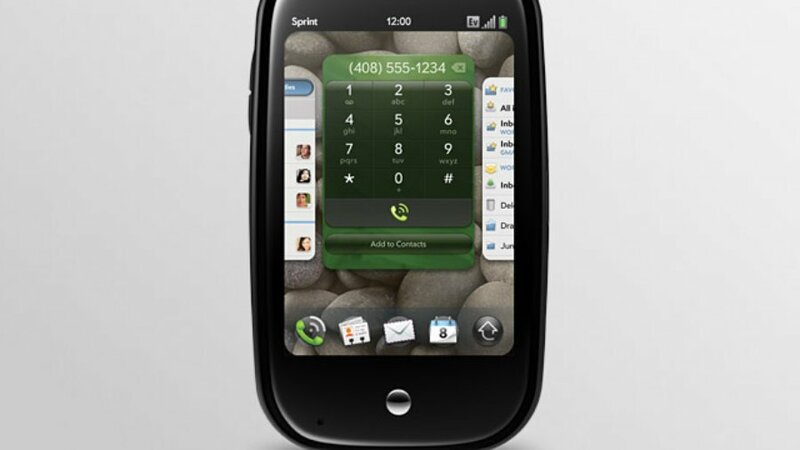 Multi-tasking is another upgrade for the iPhone that is comparable to the Palm Pre Plus. The 3G networks are offering so many options with the ability to handle a call, read an email from said caller, toggle between the two tasks and open another if need be, a true smartphone. However, while the iPhone and Palm Pre Plus are neck and neck in options, the brass tax is the operating systems. A vast majority of smartphone users have been accustomed to Microsoft based operating systems due to their personal computer operating systems, which are largely Microsoft based. When deciding on a phone, one might consider that differences encountered with the iPhone and Apple based operating system as opposed to the Palm Pre Plus and the ever user friendly Microsoft based operating system. Music. Music is another factor as the iPhone also doubles as an iPod to play music. Have no fear…the Palm Pre Plus is designed and programmed to sync with iTunes so you can download your favorite music, videos, pictures and more. Windows Media Player is also installed on the Palm Pre Plus for those who prefer the Windows based player. My personal feeling is I LOVE, yes I LOVE my Palm Pre Plus. I have been with Verizon Wireless for over five years, I have yet to drop a call due to lack of service area, I have yet to have a problem with customer service (I have had faulty phones, I walk into the store, I am helped in less than 30 minutes, problem resolved, no money out of my pocket, no hassles), and my calling plan price is fixed. I am not worried about hidden fees, extra charges, or hiccups. If I were faced with the option to choose a new plan with AT&T and or choose Verizon, my choice is clear, as was my choice in phone. I could not be happier with the ease of use, the multi-tasking abilities, fun, the clarity of the screen, video, and pictures of the Palm Pre Plus. The Palm Pre Plus from Verizon Wireless is definitely mom (and Dad if you ask my husband) approved! To see how easy the Palm Pre Plus is to use you can check out my quick YouTube video on how easy the Palm Pre Plus is to navigate. Thank you Verizon Wireless for the opportunity to review your newest phone. You already know that I wrote about burying my iPhone (with many hysterics involved in the process). But it was needed after my son laid unconscious from a skateboarding accident and nearly 20 phone calls could not get through to either the hubs or my iPhone. AT&T was kind enough to forego my next bill after that, but couldn’t fix connection issues. I, sadly, gave her up. This is a great post since I am temporarily using a Tracphone until I can decide what/where to go to next. I’ve wondered about Verizon, and this only up’s my pro-percentage factor in running to the nearest Verizon. This phone sounds great, and sounds like just the thing to smooth over my iPhone DT’s! I was just at the Verizon store today..I so want to upgrade, but the plan is just too expensive. It should be the same as any other data plan unless you do the mobile hotspot which is an ADDITIONAL $40 a month I believe. Otherwise my data is like $29 per month. But yes, it can get pricey….I bet they reduce them here in a few years like they did with the regular calling plans.